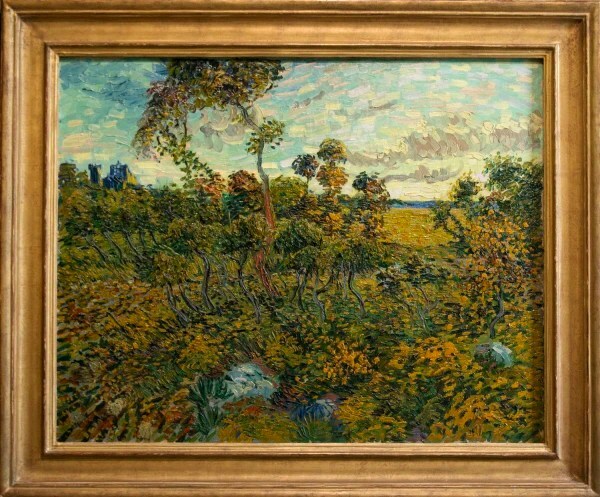 Vincent van Gogh was shaken but also calmed by nature. The natural landscape inspired some of his most implacably innovative paintings, roiled of surface, ablaze with color and steeped in feeling. They are blunt, irresistible instruments for seeing. Yet nature — and its tiniest details in particular — also sharpened his visual acuity and soothed and comforted his often unstable personality. In the catalog to “Van Gogh Up Close,” a succinct, revelatory exhibition at the Philadelphia Museum of Art, the art historian Anabelle Kienle notes van Gogh’s repeated references in his letters to “a blade of grass,” “a single blade of grass,” “a dusty blade of grass.” He not only thought that something this small and modest was a worthy subject for art — as demonstrated by the spare works of the Japanese artists he so admired — he also invoked it as a kind of centering technique for regaining concentration. Writing to his sister-in-law, he recommended focusing on a blade of grass as a way to calm down after the tumult of reading Shakespeare. WHEN AND WHERE Through May 6. Philadelphia Museum of Art, 26th Street and Benjamin Franklin Parkway. MORE INFORMATION (215) 763-8100, philamuseum.org.